Houses for Sale in Avalon, NJ and More! A unique shore resort, the island projects seaward a mile further than neighboring islands. For over 100 years it has enticed families to return summer after summer to enjoy. And with a wide range of Avalon, NJ real estate and Stone Harbor beach rentals, there’s something for everyone on this idyllic shoreline. Avalon offers everything your family needs for a perfect summer, including a beautiful bathing beach, opportunities for fishing and crabbing, tennis courts, basketball courts, playgrounds, parks, a number of summer sports camps, many fine restaurants, shops, and family activities. Whether it’s the perfect vacation rental getaway or owning your new dream home, the pros at the RJ Soens Group will make your housing dreams come true! Search houses for sale in Avalon, NJ, as well as Avalon, NJ condos for sale and Avalon house rentals. RJ Soens Group can also assist you with Stone Harbor, NJ vacation rentals and Stone Harbor homes for sale. Get in touch and let’s work together to find your perfect summer getaway. Find something for everyone in Avalon. If you like to golf, then Avalon NJ real estate has just what you need. 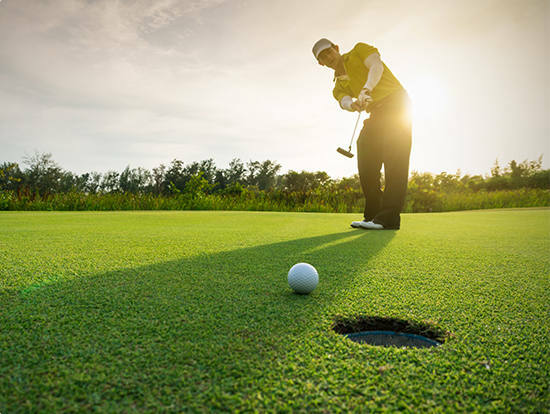 There are five unique golf courses in the area: Sand Barrens, Avalon Golf Club, Stone Harbor Golf Club, Wildwood Golf Club, and Cape May National. Whether you are a beginner or a seasoned expert, there is something in Avalon for every golfer. In addition to stunning courses, there are several different dining options offered as well as special events to engage you and your family. The best part is that these golf clubs are just a stone’s throw away! Looking for a bite to eat? From cozy cafes to lively pubs to fine dining, Avalon NJ rentals present every spectrum of cuisine for you to enjoy. 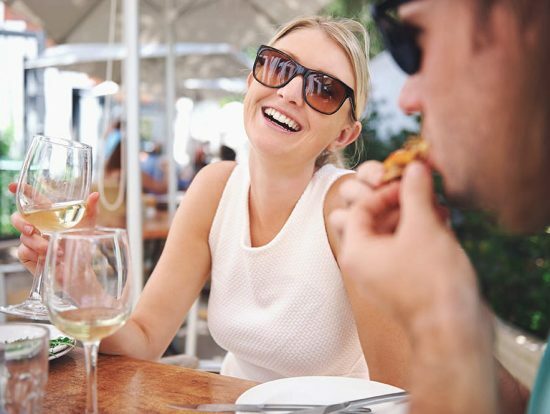 If you want to get a real taste of local cuisine, make sure to check out one of the many restaurants offering freshly caught seafood or local produce. Then, when the sun goes down, and you are ready for a night out on the town, Atlantic City is just 30 miles away.Catch a show, spend some time at a casino, and enjoy the lights of the city for a bit before retreating to the tranquility Avalon offers. If Atlantic City is not your style, the nearby historic seashore resort, Cape May, may entice you to explore its beautiful historic homes, wineries and delicious restaurants. An active lifestyle is a healthy lifestyle. Avalon real estate provides the perfect opportunities for you and your family to stay active. Located on the coast of the Atlantic Ocean, Seven Mile Island is home to some gorgeous beaches for swimming. If you are a surfer, the island is also home to beaches designated for surfers! If you would rather stay dry, you can occupy your time with a game or two of tennis. 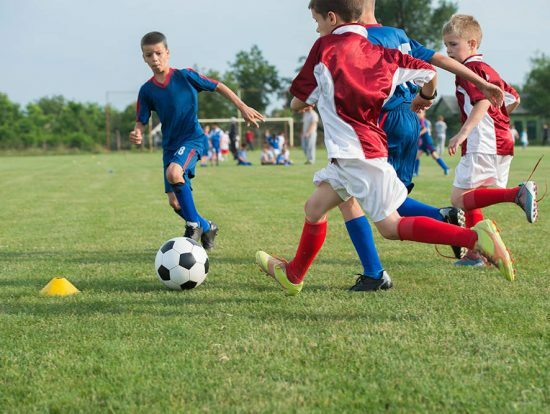 The Avalon Community Center offers sports camps and classes for all ages.Or you can check out one of the several playgrounds where your kids can make new friends and burn off some extra energy. Call the Avalon Community Center for youth activities, gym hours, swimming lessons, or special events at (609) 967-3066. When you take advantage of Avalon NJ rentals, get ready to meet some new avian friends. Birders frequently cite Cape May County as one of the best places in the country for bird watching, thanks to a flyway that makes this area a hotspot for migrating birds. The wetlands in the area make Cape May County a paradise for warblers, songbirds, and many others with over 250 species of birds. 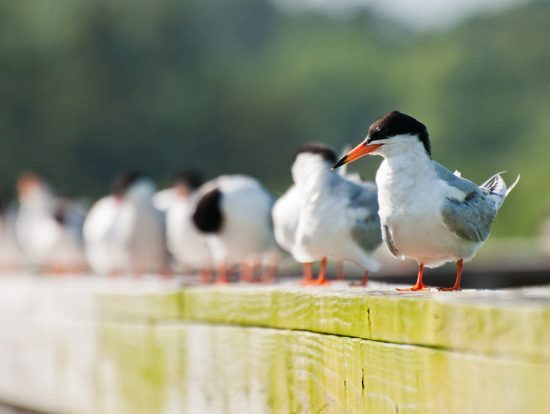 Brush up on your bird knowledge and find out the best places to see these fine creatures by checking out the Cape May Bird Observatory (Audubon Society) or the Wetlands Institute. You may soon find a new hobby in bird watching if you have not already. Are you looking to find more culturally-centered activities? Avalon real estate gives you a chance to enjoy some local music. You will not have to go far to find a new live music venue. If you want more variety, the nearby Performing Arts Center in Middle Township features a slew of local performances ranging from high school plays to community concerts and more. Just a few more miles down the road, in either direction, you will find larger venues located in the towns of Cape May and Somers Point. There you will see various cultural events, including music festivals, plays, and art exhibits. There is fun for the whole family here. If your family has an affinity for animals, spend some time at the Cape May County Zoo. They are open all year so that you can visit no matter the season. The Wildwood Boardwalk might suit your family better if you are looking for a little more action. There you can go on some rides, play some games, and do a little shopping. 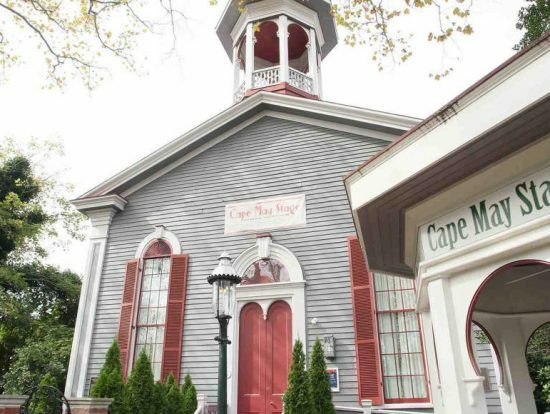 For all the aspiring history buffs out there, you can build your knowledge of the historical museum or take a tour of some of the Victorian homes in Cape May. To experience even more opportunities for a combination of education and fun with your Avalon NJ rentals, visit the Wetlands Institute and check out their nature programs. The island plays host to locally-owned boutiques and specialty shops of all kinds. Find all the accessories you need to Hang Ten at one of the surf shops in town. Whether it is a new surfboard or a new swimsuit, you can find everything you need without having to leave the island.If you are looking for the perfect new outfit that you just cannot locate anywhere else, check out of the unique clothing boutiques to find those one-of-a-kind pieces that make your wardrobe stand out. Make a trip to discover new home décor for new beach house decorations and Avalon NJ real estate. 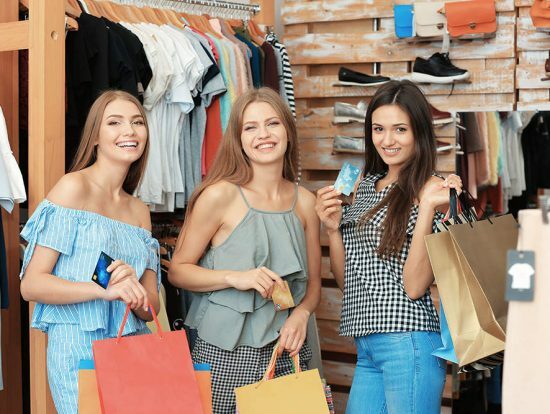 You can find a broader range of shops as well as department stores if you make the trip to the Hamilton Mall, about 45 minutes away. Get your fishing rod ready and take advantage of the diverse fish population in the area with your Avalon rentals. 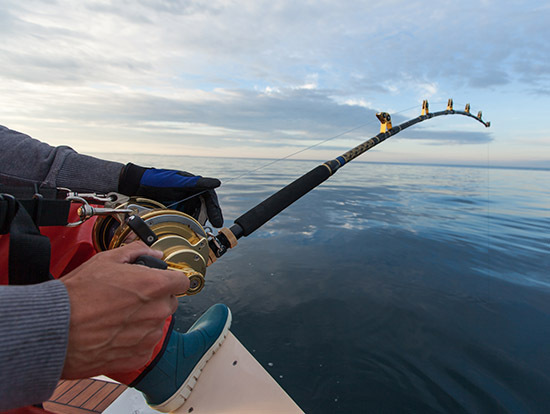 With multiple for options for fishing, you can cast your line into one of the back bays or straight into the ocean. If you are up for something a little more serious, you can go out on a fishing charter or fishing cruise. To make your time in the water a bit more interactive, try your hand at a water sport. Your family can find kayaks and wave runners for rent if you like to explore on your terms. You can also find outfits offering water skiing and wake-boarding for more organized activities. Avalon is also home to a top-notch yacht club where you can join a group of people passionate about the sport. Helpful links and materials for prospective renters and buyers. Still looking for the right place? Learn more about our other communities.